Big plans and big dreams. That’s what the Bicol-based Bigg’s Diner group has in store for the next two years. Bigg’s Diner is the brainchild of three enterprising ladies — Teresa Buenaflor, Maricar Manjon, and Nena Centenera Bichara — back in 1983. It started as a small kiosk called Mang Donald’s that served burgers and fries in a movie house. “You have to put it in the context of the ’80s when the fast-food revolution was happening. There was a burger and fries thing happening all over the country and all over the world. That’s why the three ladies decided to come up with their own version of burgers, fries and spaghetti,” Adolf Aran Jr., chief operating officer of Bigg’s Diner, told ABS-CBN News. This was a blessing for Bicolanos who didn’t have to travel far for American cuisine anymore. But eventually, the ladies had to adopt a more distinct identity which became Carl’s Diner in 1990. Then in 1994, Carl’s Diner evolved into Bigg’s Diner. The latter was an apt alternate meaning as this was what the restaurant eventually became to Bicolandia. 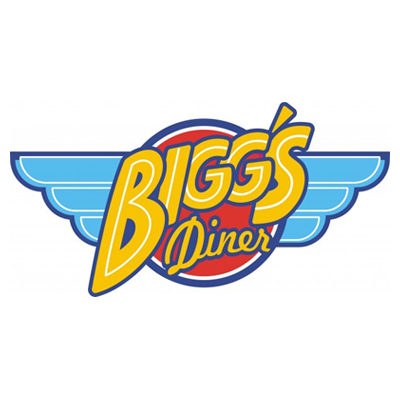 The diner concept was a logical progression for Bigg’s. Customers were looking for something different so fried chicken and baby back ribs were added to the menu. Rice meals featuring Bicolano classics like laing and pinangat followed soon after. There was also a need to feature uncommon international dishes like the Pork Cordon Bleu. “Bigg’s Pork Cordon Bleu became so iconic that when people talked about us, people would remember either a burger and fries or the cordon bleu,” remarked Aran. Freshness and fast service may seem contradictory but Bigg’s Diner makes it work. Unlike other fast-food restaurants where food is pre-cooked and sits under heaters waiting to be bought, Bigg’s Diner only cooks food after a customer has ordered it. This is no easy feat considering the variety of items on the menu, not the one-dimensional fast-food offerings where everything is fried or cooked on a griddle. Burgers, sandwiches, rice toppings, ribs and the other items are prepared using different cooking methods. Bigg’s Diner is thus really more of a casual dining restaurant with the speed of a fast-food joint. Bigg’s customers are a good mix of locals and transients. Visitors to Bicol for tourism or work come to Bigg’s because of word of mouth. As expected from an established brand, the chain gets a lot of second- and third-generation customers. Some customers were just babies being carried by their parents during their first trip to a Bigg’s branch. “Naga in particular is at the brink of culinary breakthroughs – new concepts coming up left and right. It so happens that Bigg’s Diner is right there. The brand loyalty is very high and we’d like to capitalize on it,” Aran said. Besides coming up with Que Pasa, a one-off Spanish concept in downtown Naga, the group is planning to open 10 to 15 branches in the next 24 months. And together with the current expansion are plans to modernize the diner’s look. The Bigg’s branch at Ayala Malls Legazpi epitomizes the new interiors. It has none of the cool blues and checkerboard traditionally associated with Bigg’s. Instead, the branch is airy with industrial concrete design sensibilities while still retaining knick-knacks from its diner origins. “Bigg’s is definitely going to go beyond the borders of Bicol to Manila within the year. We’ve signed up a couple of new partners already. In terms of locations, there are a lot and it’s just a matter of choosing the right ones,” Aran said.